My love of history has always been the small stories, the little bits and pieces of a life, a sentence that encapsulates the life or event in the life of an ancestor. The big brushstrokes of history have always left me cold. I can remember writing HSC essays in high school on questions like ‘The Treaty of Versailles provided an effective framework to contain European powers after WWI. To what extent do you agree with this statement?’……….. yuk. Someone once said to me that genealogy brings history alive to them. I knew what he meant. Any interest in the ‘big brushstrokes’ I have comes from researching an individual person’s life and where they fitted into the ‘brushstrokes’. Historians who are not interested in genealogy don’t realise how it can be a pathway into history for many people. I remember Dr Ian Hoskins, the North Sydney Council Historian use the phrase ‘the nuts and bolts of history’. That describes it well. It’s the personal small things that people identify with that connect them with the big pictures. I think every local historical society should realise this, especially if they are trying to increase their membership. Genealogy is a hook that pulls people into history. My family has in its possession a treasure. It’s the diary of my great grandmother Emily Hinckley, written over a three year period from 1912 to 1914. She would start on January 1st of each year writing a short entry describing the day’s events. They were brief entries of ordinary daily life. This was a typical entry. Cloudy warm day. Went to church with all the children. Anna sick. Restful day. Elmer got small pail of blackberries. This was a typical farming family that lived in the US state of Vermont. I’m sure there were millions of families just like them all over North America. In the diary there was always a statement about what the weather was like that day. There were little notes about her children and her husband Elmer. What Emily did during the day; baking bread, bathing children, sewing, mending clothes, cooking food, sawing firewood. There would be notes about whether a neighbour came to visit or a relative. Small business transactions were mentioned and the amount of money received. The entries are very similar to Tweets that, these days, would be put onto Twitter. The diary doesn’t seem like much at first glance, but if you read the text closely though it really says a lot as to what life was like for her and her family back then. For a woman at that time life was mundane, endless chores, washing, cooking and looking after the children. Hard endless work. There were occasional visits from neighbours and relatives, maybe they would go for a picnic. The entries usually stopped in late summer or autumn. Was this because of the extra effort the family all had to put in to harvest their crops? I don’t know. A cousin of mine once pointed out one entry that is a bit different. It’s a small personal note that hints at bigger events happening at the time. Thursday August 29th (1912) Cold Day, went to Rutland stores closed. Richard and I went to see President Roosevelt. Got home late. Emily and her eldest son Richard, who would have been ten years of age at the time, went to see a campaign speech for the upcoming Federal election. They went to see Theodore ‘Teddy’ Roosevelt who was campaigning to be president. He toured the state of Vermont in one day making eight speeches in eight different regional cities one of which was in the city of Rutland, nine miles from where Emily Hinckley lived. 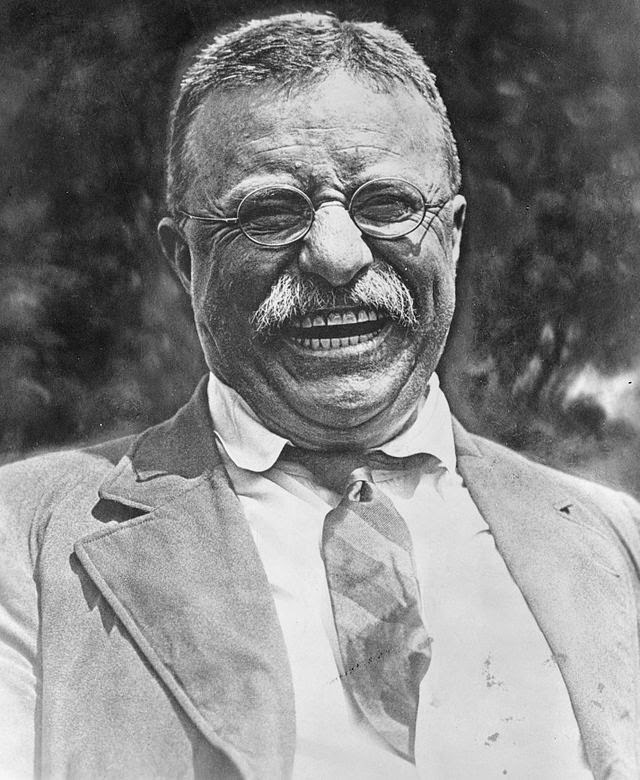 Roosevelt had already been president for almost eight years by then. For this campaign he was up against both Woodrow Wilson (Democrat) and William Taft (Republican). He was a third party candidate for the Progressive Party which a breakaway group of progressive Republicans that formed around him when he left that party. Teddy was an amazing man by anyone’s standards. He was a man’s man, a dynamo at one time a cowboy, big game hunter, war hero, naval scholar, author and politician. He was a hugely engaging speaker popular with people from both the left and right side of politics. He was a firm believer in free market capitalism and at the same time an advocate for worker’s rights. When he wasn’t building canals in Panama he was winning Nobel Peace prizes. He was one of life’s believers. He never stopped. 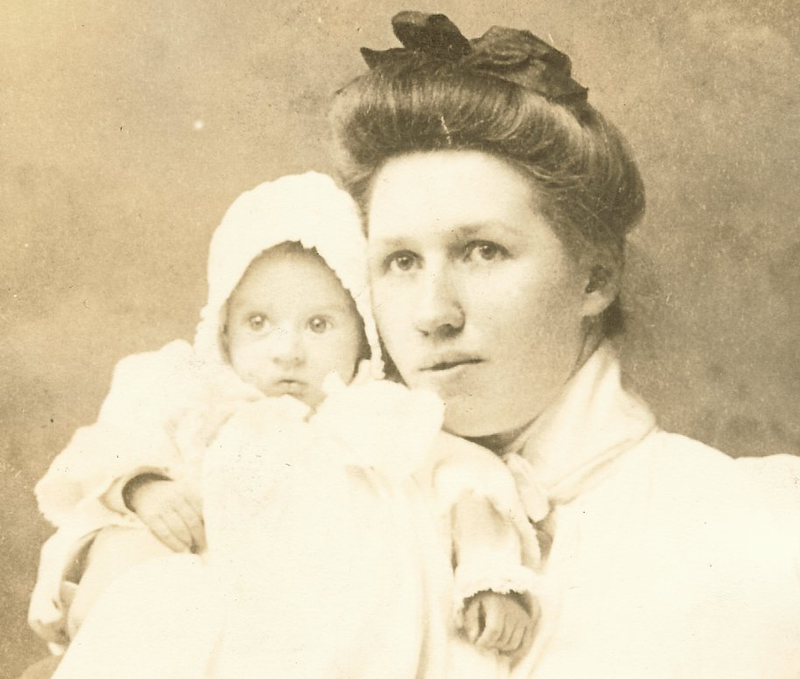 Emily wouldn’t have voted in the 1912 election, as a woman she wasn’t eligible. But there were many policies of the newly formed Progressive Party that would have appealed to someone from a poor working background: Workers comp, social insurance, an eight hour working day, a national health care scheme and women’s suffrage to name a few. I suspect that when Emily and her husband Elmer named my grandfather Theodore they were naming him after the president. A few months after Roosevelt’s Vermont visit he was shot in the chest while campaigning in Milwaukee, Wisconsin. Deciding that the bullet wasn’t going to kill him, he famously said ‘it takes more than that to kill a Bull Moose’, and gave his campaign speech with blood seeping into his shirt. 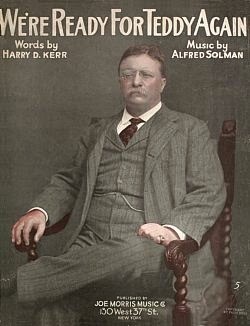 The Progressive Party became known as ‘The Bull Moose’ Party. The bullet stayed in his chest for the rest of his life. Maybe Emily’s interest wasn’t in politics that day but just in seeing the great man himself. I’ll never know. But through her little bit of history I have researched and understood the bigger brushstrokes of that day much better.